If women’s tennis needed an advertisement for tenacity, the Australian Open final was it. In Caroline Wozniacki and Simona Halep, they had not just the top two players in the world, but athletes who were driven to that one dream. Both had been in Grand Slam finals, and lost. Both had held the World No 1 ranking, and had been questioned. Both had been down match points earlier in the tournament, and survived. They had come too far to back down. That desire to finally seize the day, win the trophy was raw, throbbing and for all to see. It transformed them into fearsome competitors. For two hours and 49 minutes they were locked in a battle of wills. The 26-year-old Halep battled leg injury and blocked out the physical exhaustion of the fortnight from her mind. She ran on fumes, and sometimes on one leg. But on a muggy evening in Melbourne, Wozniacki would just not be moved. She had an answer to everything Halep asked of her and finally emerged a 7-6 (2), 3-6, 6-4 winner. “It was such a tough grind. It was very hot out there. I think both of us were very tired in the end,” said Wozniacki, who took over the World No 1 ranking from Halep. The victory also helped Wozniacki put the Slam credentials question away once and for all. The Dane had first ascended to the World No 1 ranking in October 2010, but the lack of a Major trophy has constantly clouded her achievements. But, like her game, Wozniacki’s is a tale of persistence. She fought through the nagging doubts, careless taunts, frustrating injuries and entered 43 Grand Slam competitions before she was finally crowned champion. “Honestly, I think that's one of the most positive things about all of this. I'm never going to get that question again,” the 27-year-old said. Six years since she was dethroned, Wozniacki will back to the top of the rankings with this triumph. With so much on the line, Wozniacki had entered the nervy contest on Saturday steady as a heartbeat. A strong service game was followed by a quick break of serve. As if connected to an internal radar, the Dane tracked down Halep’s line of attack and returned clean between the lines. A poor service game at 5-3 gave the Romanian a chance at a comeback, but Wozniacki quickly slammed the door on it in the tie-break. Before the start of the final, Halep’s coach Darren Cahill had said that his ward would have to “be brave” in key moments to win her maiden Grand Slam. 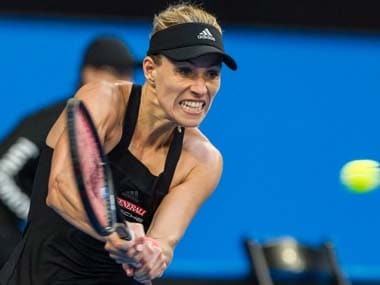 But even the veteran Australian coach could not have anticipated the reserves of courage Halep tapped into on the evening. The little Romanian with a big heart kept fighting for her dream when she was down, kept fighting for it even when she was almost out. 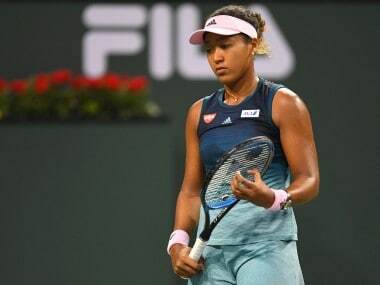 She had been on painkillers since sustaining an ankle injury in the first round and had been taken to the absolute brink by Lauren Davies and Angelique Kerber, fighting back from match points in both the matches, and winning them 15-13 and 9-7 in the decider respectively. As the second set neared the pointy end, it looked like Halep’s failing body could take no more. Perhaps distracted by the physical agony of her opponent, Wozniacki slightly let up. How was Halep running when she could even barely stand? In a bid to keep the points short, she jumped into attack. The Romanian survived an 11-minute service game, and while serving for the set at 5-3, saved three break points before getting through Wozniacki’s defences. With the temperature refusing to drop under 30 in the evening, WTA’s heat rule came into play and players got a reprieve for 10 minutes. In an extraordinary third set, where there were seven breaks of serve, Wozniacki kept her cool to sneak through. The last two points — and in the end analysis Wozniacki had won only two more points than the Romanian — summed up the match. Though her lead left leg couldn’t take the load anymore, Halep served gustily, look the first strike in the rally. But Wozniacki hared around the baseline, getting to everything, putting the ball in play, till she found a backhand to bring her back on equal ground and wait for Halep to fall. Two forced forehand errors from the Romanian sealed the deal. Wozniacki crashed onto the court in a pool of emotion as the crowd got onto its feet to applaud the effort of both players. The final had capped off a fortnight of incredible comebacks and epic struggles. When Wozniacki took the Daphne Akhurst trophy for a lap of honour, Neil Diamond’s ‘Sweet Caroline’ thrummed on the loud speakers at the Rod Laver Arena. Good times had never seemed so good. For the Dane, or for women’s tennis.